Emmy is no ordinary dog. When adopted from the shelter by physics professor Chad Orzel, she becomes immediately fascinated by his work. Could she use quantum tunnelling to get through the neighbour's fence? How about diffracting round a tree to chase squirrels? Or using virtual particles to catch bunnies made of cheese? 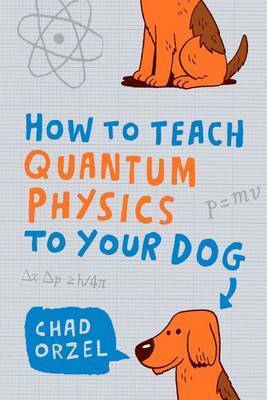 Taking Emmy's anarchic behaviour as a starting point, Orzel explains the key theories of quantum physics. From quarks and gluons to Heisenberg's uncertainty principle, this is a uniquely entertaining way to unlock the secrets of the universe. Chad Orzel is an associate professor at the department of physics and astronomy at Union College. He has written for Forbes, Daily Mail and Physics World, and has spoken at numerous TED talks. His new book, Breakfast with Einstein, is also published by Oneworld. He lives in Niskayuna, New York.